Totally cool breathable t-shirt and perfect for exercising in it. 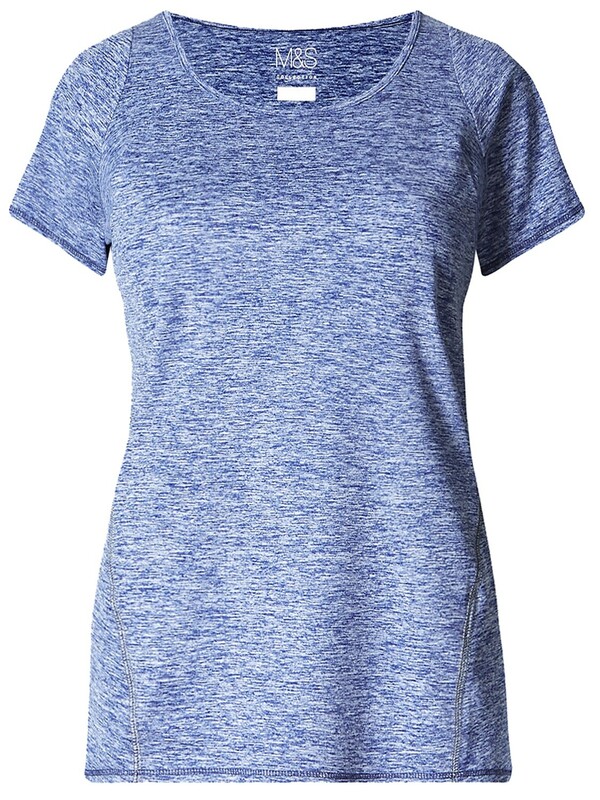 Attractive marl dark blue fabric , regular fit t-shirt with short sleeves and scooped neckline. Added stretch.